Boosting Energy Metabolism: Keep it Simple! Maintaining a healthy metabolism is as simple as making the right food choices and tweaking your lifestyle. 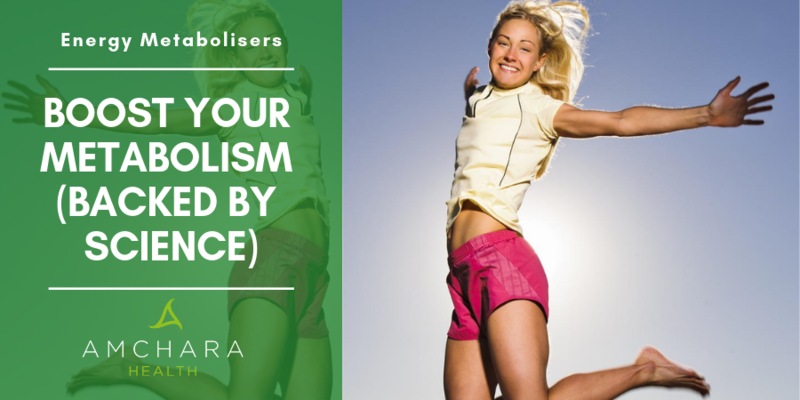 In this article we point you in the right direction with a whole host of helpful tips that will maximise your energy in no time at all. Your metabolism is a complex series of thousands of chemical reactions that happen every second within your cells in order to keep you alive and healthy. One of the most important of those processes is the transformation of food into energy. Creating enough energy is vital for good health so that your body can grow, reproduce, maintain cells and tissues and respond to the environment. Keeping your metabolism fully functioning so that you have enough energy to get you through the day is not as hard as you might think you just need to follow a few simple rules. Eating the right foods as well as enough food is essential if you want a fully functioning metabolism and plenty of energy. Your metabolism is a dynamic process that is constantly working to transform food into energy by breaking down carbohydrates, fats and proteins. The resulting chemical energy powers the thousands of cellular processes that keep you alive and kicking (literally)! You need a constant supply of food to replenish your energy levels. Depriving your body of food by undertaking calorie restrictive diets can seriously hamper your metabolism by depriving your cells of the nutrients it needs to function well. On top of this the resulting weight loss can affect your basic resting metabolic rate by slowing it down, 2 so you end up feeling tired all the time. Eating a healthy, well-balanced diet can help to ensure that you don’t experience nutrient deficiencies that could potentially slow down your metabolism. Unless you actively need to lose weight, or you’re deliberately fasting its a good idea to keep an eye on your calories so that they don’t fall under your body’s daily requirements. Protein is a great source of energy when carbohydrates are in short supply. In addition to this, your metabolic pathways are triggered by enzymes that are made up of proteins. Eating protein at each meal also helps to stabilise your blood sugar levels. Keeping blood sugar balanced throughout the day can have a huge impact on maintaining energy balance and preventing slumps. To avoid the highs and lows, make sure you eat protein at every meal, even if it’s just a few nuts with a piece of fruit as a snack. Another vital part of the energy metabolism picture is the body’s need for vitamins and minerals. 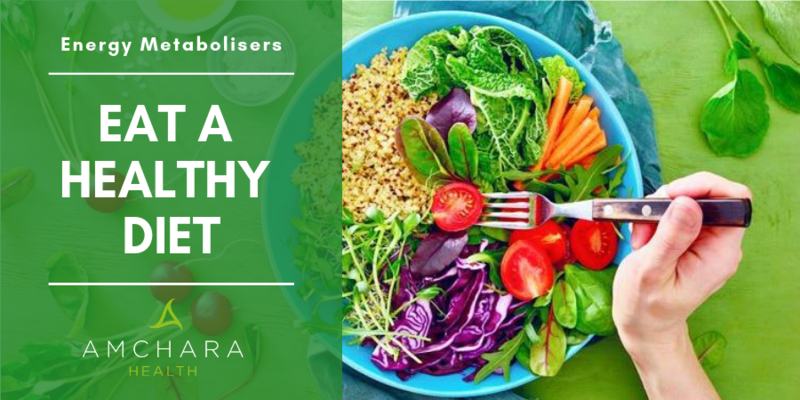 These act as co-factors in the enzymatic pathways that control metabolism, so its really important to get adequate levels by eating a colourful range of fruit and vegetables. Iron is necessary for maintaining adequate energy levels as it helps to carry oxygen to our cells. A lack of iron may also be due to a poor diet, absorption issues or excessive iron loss in the blood, such as with peptic ulcers, or heavy menstrual periods. There are several dietary factors that can impair the absorption of iron including low stomach acid, phytates found in wheat bran or soya, oxylates contained in spinach and tannins found in tea. Vitamin C helps the body to absorb iron so it’s really important to eat plenty of vitamin C rich foods such as bell peppers, broccoli, papaya, kale, strawberries, citrus fruits and Brussel sprouts. In order for your body to complete the process of transforming food into energy it needs a whole range of vitamins and minerals. The use of some herbal remedy’s have also been shown to help prevent fatigue. The full spectrum of B vitamins are crucial for turning your food into energy because they act as co-enzymes in energy metabolism. Many people lack these vital nutrients in their diet. Traditional Chinese medicine has used Siberian Ginseng as an adaptogen. A deficiency of selenium can lead to low thyroid function which has a direct impact on your energy levels. Iodine is an enormously important micronutrient, crucial for health and well-being. It is particularly concentrated in the thyroid and is necessary for the synthesis of thyroid hormones, which as we’ve seen control metabolism and energy production. As mentioned earlier without vitamin C iron uptake may be compromised leading to fatigue. Researchers have also found that vitamin C is essential for the synthesis of Carnitine, 6,7 which plays a key role in transporting fatty acids to the cells for use in energy production. 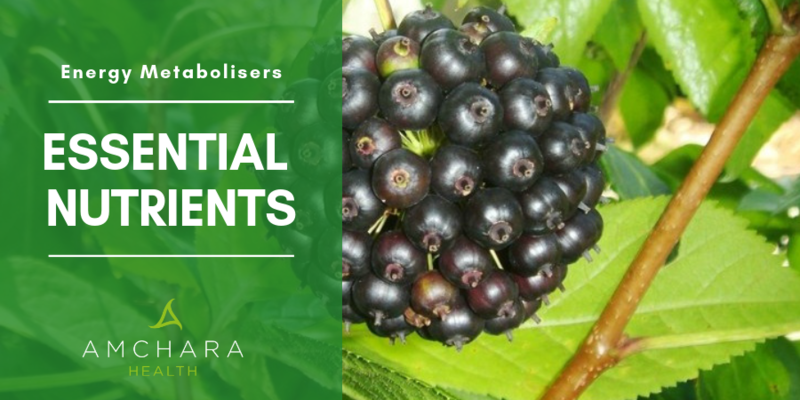 Without vitamin C as part of the equation, your energy levels would be seriously compromised. 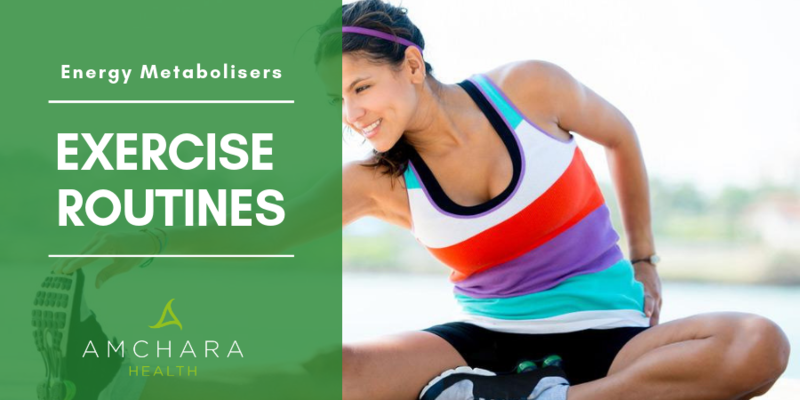 Exercise can be a game changer when it comes to revving up your metabolism and keeping your energy levels buzzing. Just 30 minutes a day can improve your circulation bringing oxygen and nutrients to your muscles and brain. This is vital for keeping you moving, lifting your mood and reducing lethargy. Plus, it helps you sleep which in itself improves your energy levels. Different types of exercise give different benefits. Caffeine is a stimulant, which is tempting to rely on when you’re feeling tired. The rapid boost of energy it gives however, is very short lived and after a while a slump in blood glucose occurs, leaving you feeling tired again. A constant reliance on stimulants like caffeine end up taxing your adrenal glands so you feel overly tired without it. What’s worse is that over time your brain doesn’t respond to the stimulant effects, so in order to get a boost you have to drink more and more. Giving up is the best bet, although you may feel worse for a while as the body withdraws from caffeine. However, if you stick to it you will gradually regain your natural energy levels. 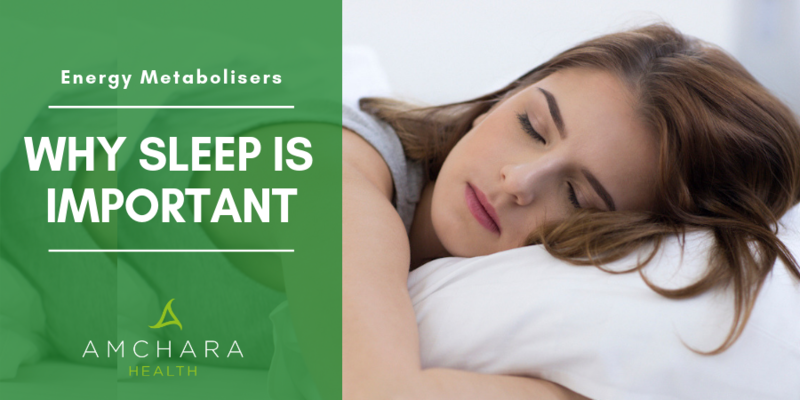 A good night’s sleep is so important for maintaining energy levels. During the night the body and brain repair and re-charge, which prepares you for the following day and helps to sustain your energy. It may seem obvious, but many people have great difficulty sleeping. Avoid exercising too late in the day. Stay away from stimulants like tea, coffee, cola and alcohol especially in the evenings. These drinks can keep you awake for hours. Make sure you have adequate curtains that block out the light. Avoid anything before sleeping that might keep your mind busy like reading, watching TV or working on your P.C. Take a warm relaxing bath before bedtime, which really helps to get your body ready for sleep. Do you have any personal tips for boosting energy levels that work for you?